Easicook has been a major suplier of glasswashers to the the catering trade for any years, offering fast free delivery on all our glasswashers from stock & very competitive prices & excelent afrer sales care. Along with the supply or spare parts for all glasswashers brands. 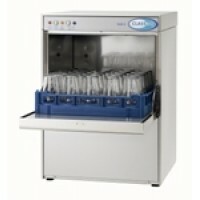 The new Classeq Eco 1 compact glasswasher is idea where space is limited due to.. The Classeq Eco 2 is high volume glasswasher with built in chemical dispensers. Single piece wash ar..
Classeq have a long history of excellence in dishwasher and glasswasher design which is accurately r.. The 400x400mm basket Eurowash 341 glasswasher is extremely well built & engineered with a 2.. The Sherwood Micro has now been discontiued, the replacement would be http://www.easicook.net/g.. The Classeq Eco 1 glasswasher is a high volume glasswasher with built in chemical dispensers fitted ..
16 Pint Capacity Lease Purchase from £8.88+vat per week over 3 years with a 3 year parts & la..
18 Pint Capacity Lease Purchase from £8.88+vat per week over 3 years with a 3 year parts & labo..